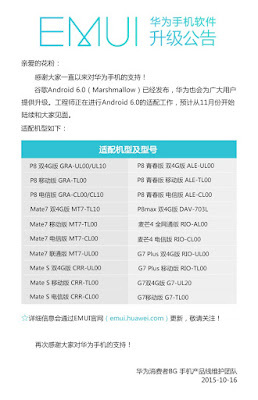 There are many device manufacturers which started working on Android 6.0 Marshmallow for their devices, like Samsung, Motorola and Sony. 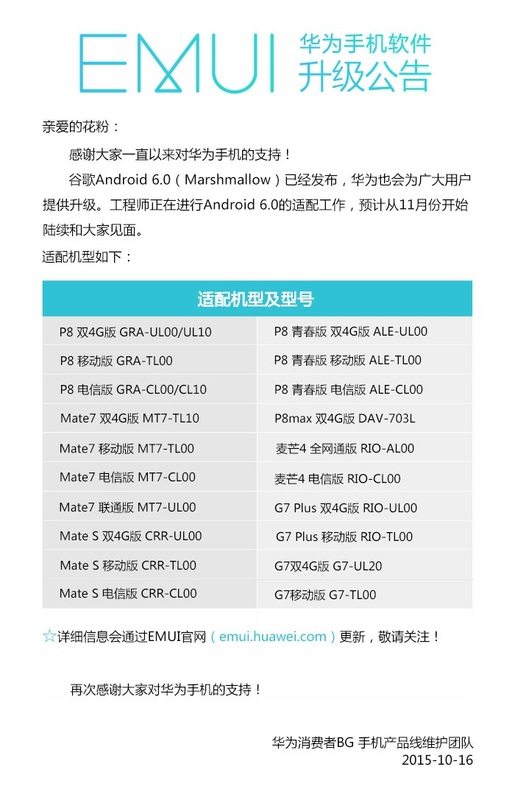 We got to know that Huawei is also working on the new OS by Google which is Marshmallow and will be rolling out the OTA update much faster than any of their OS updates. Thanks to their partnership with Google. 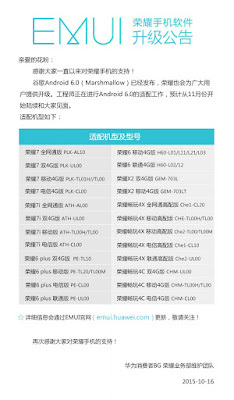 In this list P8 youth edition, P8 Max, Maimang 4 (variant G8) and G7 Plus are also included, which are not officially available on market. 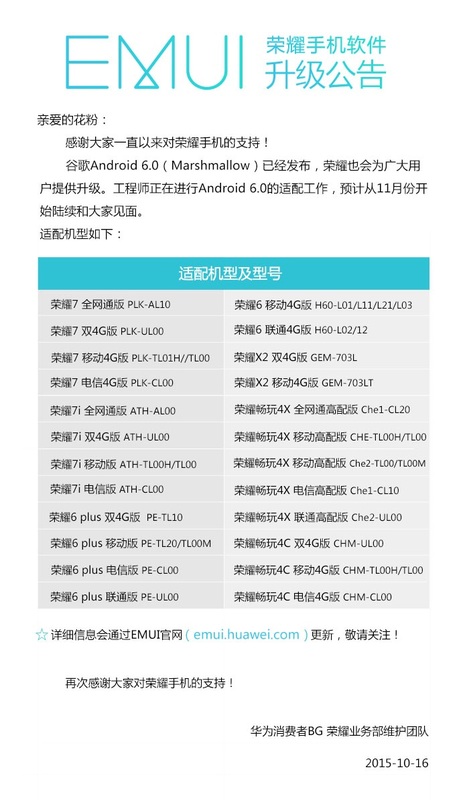 The company is said to start customizing the OS to shape up the EMUI running on the listed devices in November, but there is no timeframe for when the update will start rolling out. Other companies have scheduled it at the end of 2015 or at early 2016, so this might be the case here too. The UI changes have not been mentioned, but since this version doesn’t include many visual changes but has many improvements under the hood, the same might happen with this UI. Let’s remember that some changes brought by Marshmallow were not even announced but they have been discovered along the road.